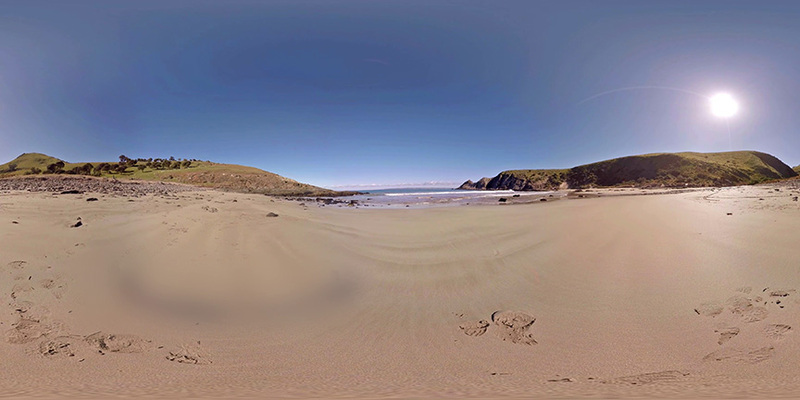 You can now attend a virtual reality beach. Thankfully, you don’t have to rely on Milk VR for 360 degree videos. Feel the Relaxation has just released Dream Beach 360 and it is, for the most part, incredible. For $12.99 (or $9.99 if you use the discount code REDDIT), you can transfer yourself into different Australian beach locations. Best of all, you can download either the 2K or 4K version, even though there isn’t much of a difference between both as Gear VR can’t display 4K in the first place. The first scene places you above a cliff where you can see the blue sky and water flowing. If you turn around, you can see green hills. Soft music plays throughout the scene. The second scene is in the same place, but with a different view. It is incredibly relaxing. The third scene takes you to an actual beach. You can still hear the wind blowing, the water flowing, and the soft music. The fourth scene puts you on the hilltop. In the fifth scene, you can see Kangaroos looking at you and, if you look around, can see a bird flying in the sky. The 30fps makes everything seem a little slower than real life, but it’s only a minor quibble. 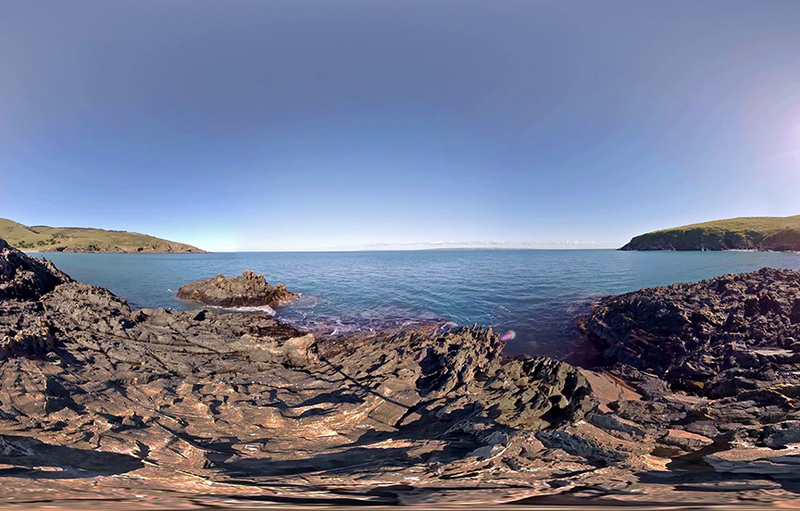 If Feel the Relaxation can make a realistic and excellent 360 degree video like this, we wonder what other companies can create. What about a high quality 360 degree video from outer space? How about a 360 degree video of a full concert (unlike the low-quality Paul McCartney one that was recently released). What about a tour of Hawaii that doesn’t look like it was filmed by a VHS camera from the 1980s? The possibilities for 360 degree videos are endless. It’s important to note that Dream Beach 360 is also available for the Oculus Rift DK2, though the resolution won’t be as good since the DK2 only uses a 1080p screen. Either way, it’s time to stop all the stress and go to the beach, even if it’s only through virtual reality.